The first Connecticut legislation to prohibit educational neglect was Ludlow’s Code of 1650, which mandated required subjects (English, citizenship, and religion) as well as prescribing a fine (twenty shillings) and a remediation process for negligent parents or guardians. Public school attendance became compulsory for Connecticut children in 1872 in an effort to prevent child labor. At that time, the Ludlow Code was restated to read: “All parents and those who have the care of children shall bring them up in some lawful and honest employment and instruct them or cause them to be instructed in reading, writing, spelling, English grammar, geography, arithmetic and United States history and in citizenship, including a study of the town, state and federal governments.” A second stipulation was added that “all between the ages of eight and fourteen years should attend some public or private school for at least three months each year, unless instructed at home or prevented from attendance by mental or physical disability.” This section of code would later become known as Connecticut General Statute 10-184. In 1990, homeschooling parents Nancy and James Hough chose to engage in a legal argument with the Clinton School District. The district “requested an opinion from the State Department of Education. Then Education Commissioner Gerald Tirozzi asked the Chief of Legal Affairs for the State Department of Education, Mark Stapleton, to conduct an investigation of the issue.” This investigation culminated in the release of “A Report Concerning the Findings of the Home Instruction Committee” dated February 6, 1990. When homeschooling parents objected, the State Board of Education established an advisory committee of parents and public school authorities to revise the Shedd Guidelines. The advisory committee recommended abandoning the Shedd Guidelines in favor of adopting provisions developed by the National Association of State Boards of Education (NASBE), which called for requiring the approval of local school boards to homeschool. This led to the founding of Connecticut’s CHEA-affiliated legal watchdog organization Citizens to Uphold the Right to Educate (CURE), later National Home Education Legal Defense (NHELD, est. 2003), by attorney Deborah Stevenson in June, as well as the founding of The Education Association of Christian Homeschoolers (TEACH) sometime in 1990. Homeschooling parents picketed the State Department of Education’s offices, filed a complaint with the State Freedom of Information Commission, and undertook a letter-writing campaign to request that the State Board of Education hold a public hearing. Due to this campaign, at the September Board meeting, the State Board of Education rejected the provisions suggested by its advisory committee. On September 19, representatives of the homeschooling groups CHEA, CURE, and TEACH met with HSLDA’s Mike Farris to draft their own homeschooling policy. “Five representatives of the home-schooling community” based their recommendations on this policy document when they “met with the State Board’s committee on September 27.” These recommendations included that parents file a yearly notice of intent (NOI), which would contain a listing of subjects, days of instruction, and method of assessment; that homeschoolers undergo an annual portfolio review by school officials, where the parents’ decision to implement any recommendations would be voluntary; and that parents’ refusal to comply with the NOI requirement would cause the child to be considered truant. [Such parents are not required] to take the initiative to show public school officials that the child is receiving equivalent instruction. Instead, the parent must be able to show that the child is receiving equivalent instruction in defense of any court proceeding in which the sufficiency of the instruction is being challenged. Of course, any such court proceedings should not be initiated unless there is credible evidence that the parent is failing to provide equivalent instruction. 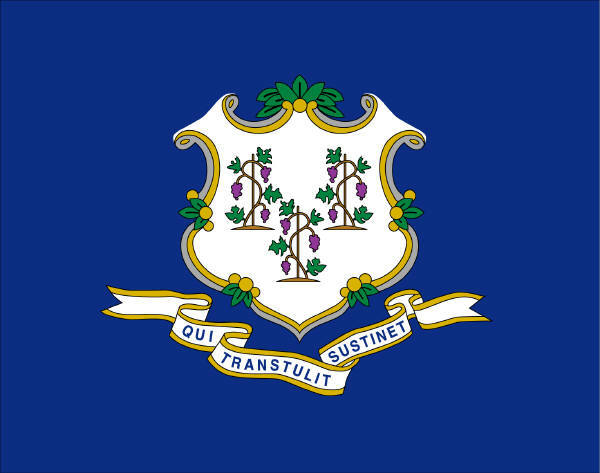 Although the state board of education’s guidelines are not binding law, most home schooling families in Connecticut are willing to comply with them, including an annual meeting with a public school official for the purpose of a portfolio review to determine whether there has been instruction in the required subjects. … Otherwise, parents are faced with the statutory burden of having to prove that their child is receiving instruction equivalent to that offered in the public school. Some public school superintendents who disapproved of this result convinced Representative Anne Dandrow to propose a bill the following year to give the C-14 Guidelines “the full force of statutory law”, but again homeschoolers campaigned against the bill and it was dropped. The Guidelines did not receive another serious challenge until 2002. There is 10-198a which basically says that if you are educating your child in accordance with CGS 10-184 then [your] child cannot be considered truant. A second law 10-184a allows parents of children educated at home or in private school the right to refuse special education services offered by public school. A third law, 10-184b … states that notwithstanding any of the Commissioner’s power to waive other provisions (which he might do to improve public education), the Commissioner shall not waive the authority of parents to home educate under CGS 10-184. In early 2002, some superintendents dissatisfied with the fact that the C-14 Guidelines were voluntary convinced Representative Cameron Staples to propose a bill, HB 5535, which would require: filing an annual notice of intent (which would include parental proof of high school diploma or GED, a description of the subjects taught and materials used, a schedule of instruction with 900 hours required, and an independent method of assessment) within 10 days of the start of instruction; a superintendent’s review of the method of assessment or a portfolio review; and that children whose parents fail to file a NOI would be considered truant. “Approximately 1,000 home schooling parents and their children attended a Joint Committee on Education hearing on March 4, 2002” to protest the bill. On March 12 and March 14, 2002, Staples met with representatives of state homeschooling groups and indicated that his main concern was that so few homeschoolers were following the C-14 Guidelines. In return for homeschooling groups’ promise that they would recommend their members follow the C-14 Guidelines, Staples “stated that the message he would bring to the Education Committee Caucus scheduled for Friday March 15th [would] be that the bill should not be brought to a vote”. In February 2008, Representative Art O’Neill introduced SB 162, which would have required only parents withdrawing their children from public school to file a NOI. After the bill was amended to require that all homeschooling parents file a NOI, homeschoolers protested and legislators suspended a vote until the following year. The bill, now named HB 5761, died in committee in 2009. For more on homeschooling in Connecticut, see Connecticut.